Encephalartos equatorialis exists in a natural habitat in Luwerere-Mayuge district in Uganda. The species is Critically Endangered with estimates of 300 plants, yet with little known data. The project will improve habitat conditions of the species and enhance its population, through working and developing capacity of local communities to manage the habitat, propagate cycads through seeds for replanting in the wild. Project methods include an education and awareness programme through community trainings and group discussions with use of posters and brochures, to change communities’ environmental knowledge for a positive impact on cycad conservation. Community trainings will be conducted to equip communities with best practices for propagation of cycads and their management in the wild. 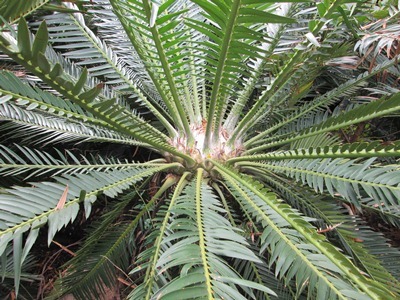 Group discussions and field observations will be used to elicit information on cycad ecology. For a population census, sub-populations will be mapped with a GPS and individuals counted. These interventions will contribute to immediate and long-term conservation impacts on the species and its habitat, and also serve as leads to future conservation initiatives. The project outcomes will include improved habitat conditions, enhanced cycad population, more and accessible data on the species through production of posters, brochures, a project report and at least one scientific journal article.